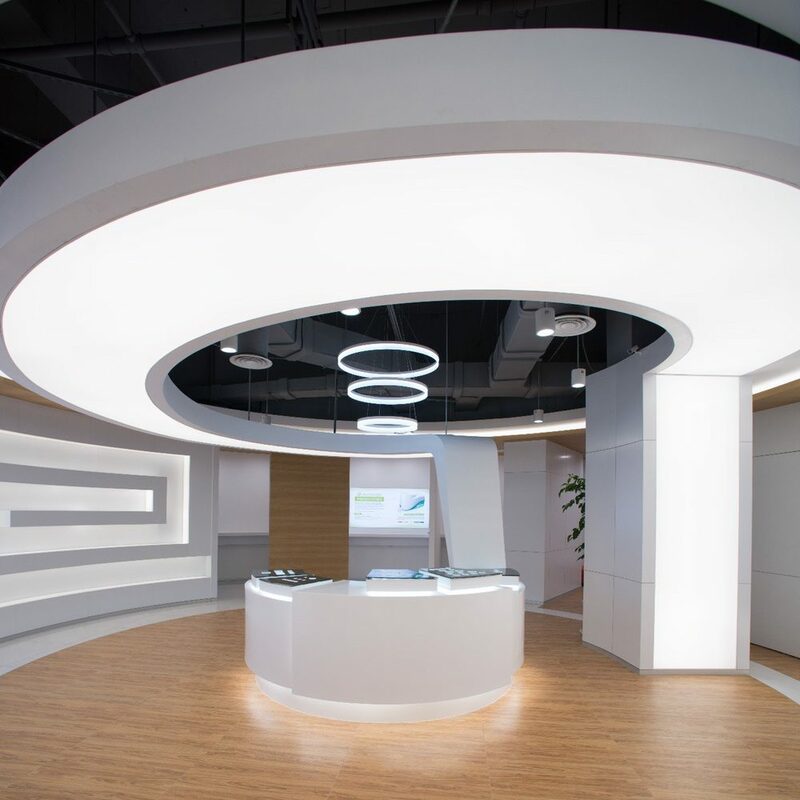 NuSkin’s ‘Experience Center’ in Shanghai was designed to make a clear statement to reflect its leading position in the skin care market. 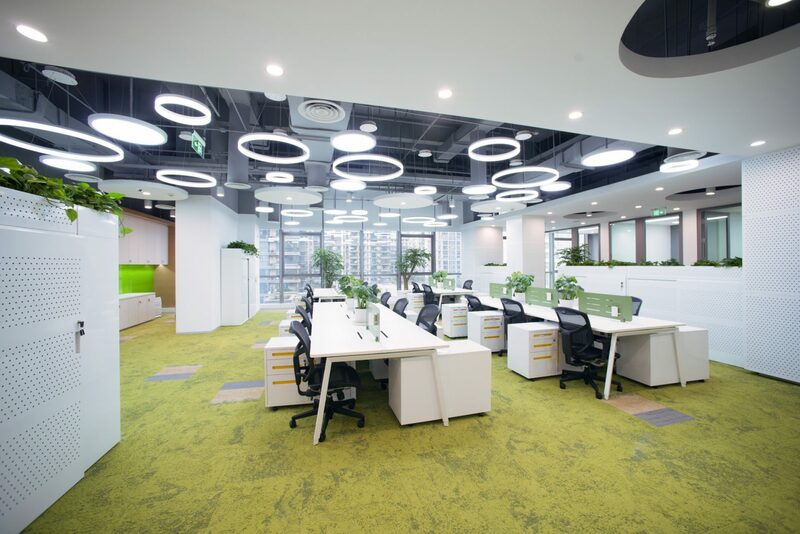 The client’s brief was to create a retail engagement facility for their new products together with associated office and other support spaces. With a sizable brand guideline – Nuskin wanted to create a new standard of sorts, and reach beyond where their physical presence had previously extended. By visiting the brand through multiple lenses and drawing inspiration for where Nuskin wanted to position themselves as market leader we created a new face. As an MNC, the company brand guidelines were reviewed together with Taiwan and USA branding leaders to generate a new approach. 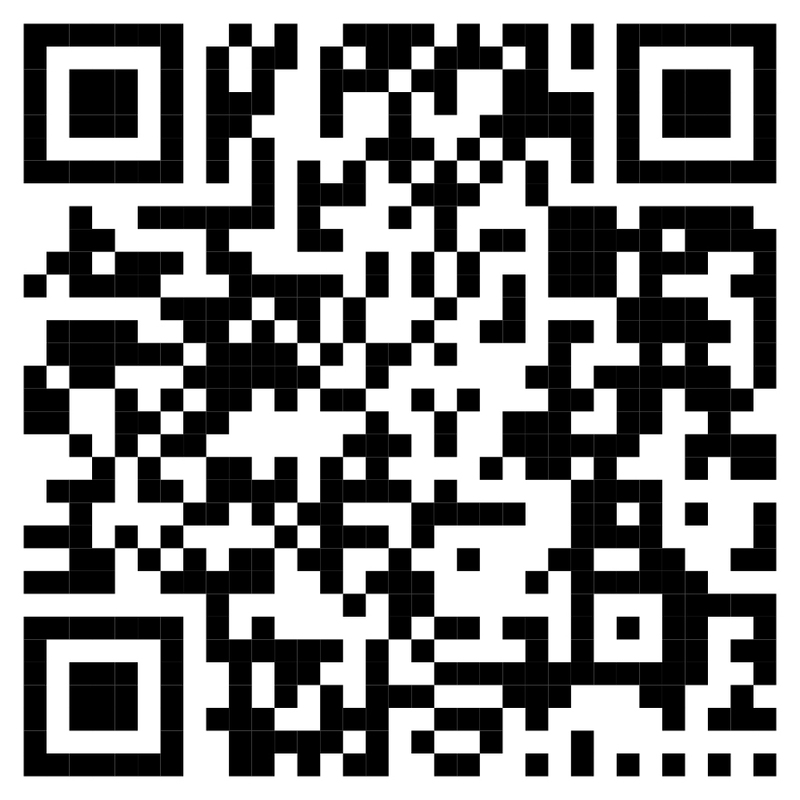 The visitor’s first impression was flagged as an important part of the strategy in China. 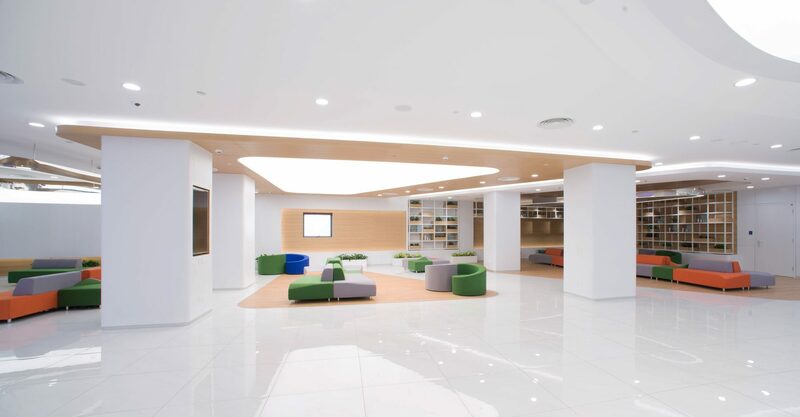 The use of white as the facility’s base colour is intended to reflect the purification qualities of their skin care products. The center was designed as both a training and support center. 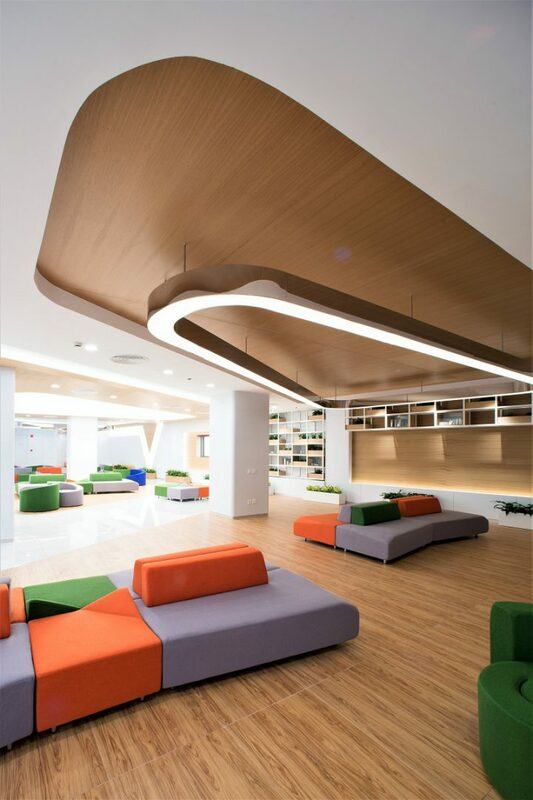 This included innovative product display areas, well as sofa meeting and relaxation zones. The LEED Gold certification reflects the company’s commitment to environmental sustainability. 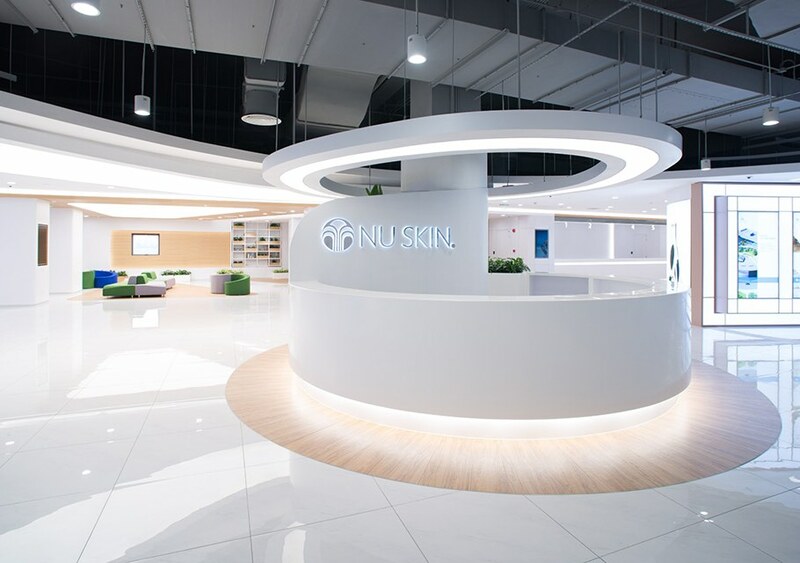 NuSkin’s China CEO commented: “This is the best facility in the region. It’s a great job, you [IACTION] should be very proud”.